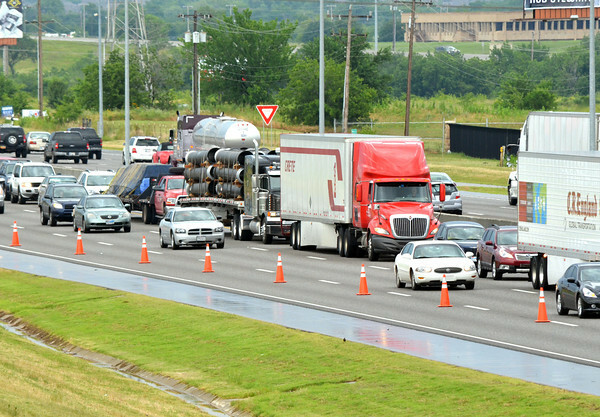 Drivers merge into one lane on Interstate 35 at Tecumseh Rd. to avoid crews cleaning up an accident site where a semitrailer rolled over after hitting two other vehicle around 3:30 a.m. Sunday morning. The lanes on the highway were reopened around 3 p.m. Sunday. The cause of the crash and injuries sustained are unknown.